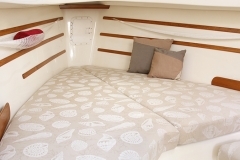 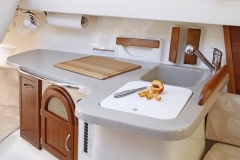 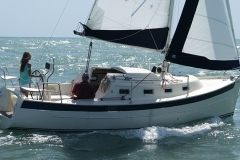 The Seaward 26RK is set apart from others in her size and class by her spacious and open cabin, effective use of space and superb performance capabilities. 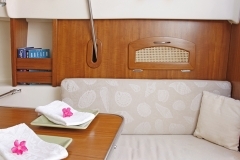 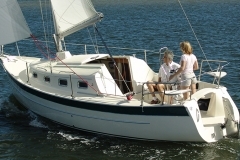 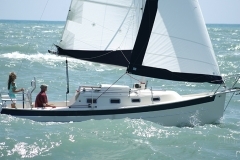 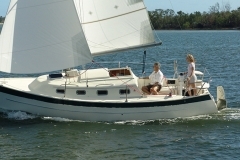 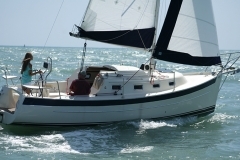 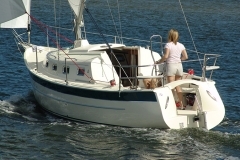 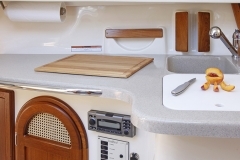 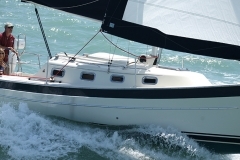 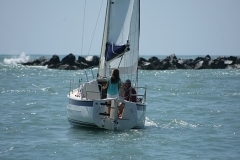 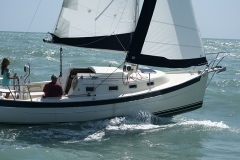 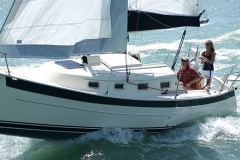 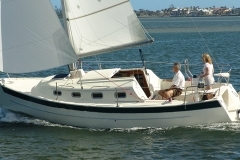 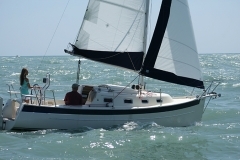 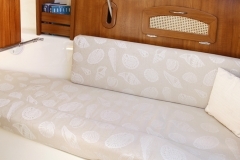 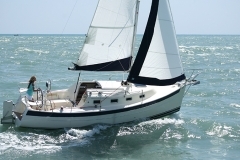 Like all of our sailboats, the 26RK offers an adjustable keel and rudder. 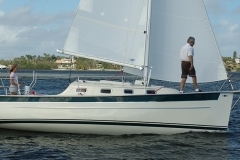 With a draft range between 15” and 6’ you can adjust the keel from the cockpit to suit water depth as shallow as 18″ yet be extremely capable offshore. 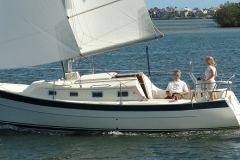 Low center of effort sailplan and center of gravity, considerable hull form stability and ballast low in a bulb at the keel’s lower tip provides great stability. 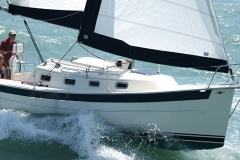 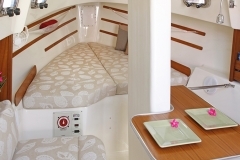 Clean underbody and high aspect foils assure high levels of performance on all points of sail. 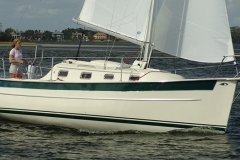 Standard, she comes nicely equipped. 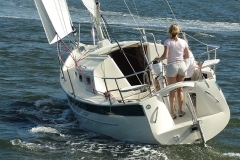 Freedom to SAIL WITHOUT BOUNDARIES in style and comfort!